The girls won Silver medals in Beijing 2008 Olympic Games, they won bronze at the London 2012 Olympic Games 4 years later. Despite nursing injuries, our girls persevere and fought on. They showed great fighting spirit. Singapore won Korea by three matches to nil on the morning of Tuesday 7th August to secure the bronze medal. It was a hard fought 3-0 victory. 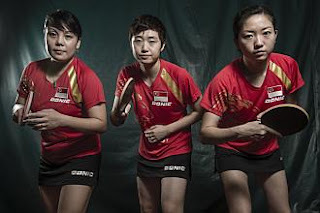 Feng Tianwei beat Kim Kyungah (11-9, 11-8, 4-11, 13-11) to give Singapore the ideal start. Li Jiawei extended the lead by defeating Seok Hajung (11-5, 11-8, 6-11, 11-8) before returning to the table to secure a doubles victory in partnership with Wang Yuegu. The duo overcame Dang Yeseo and Seok Hajung (11-9. 11-6, 6-11, 11-5). A lovely birthday gift for our 47th National Day!! 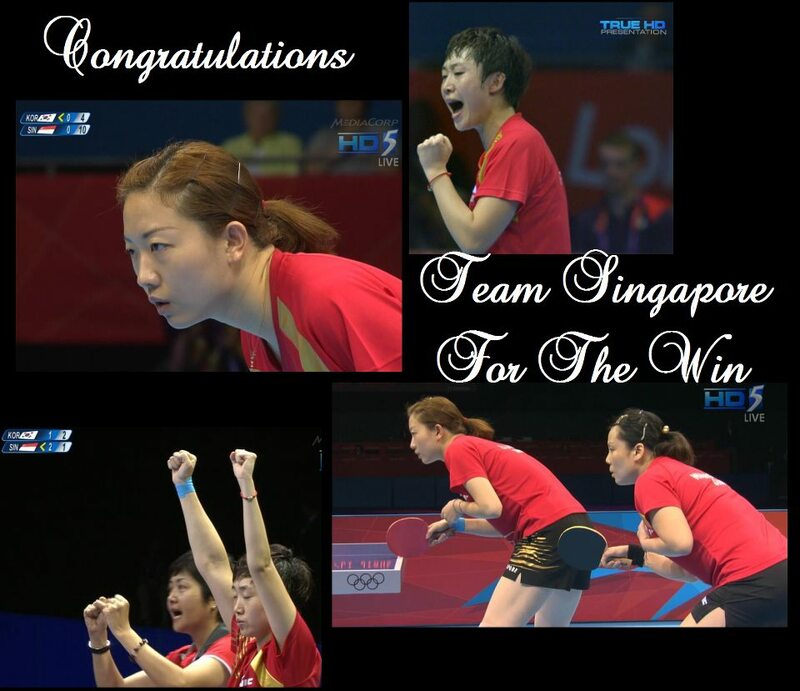 Congratulations to these ladies and to Singapore!